Alabama native, Bonnie Silvey, wants to adopt a baby boy or girl and Popcorn Palace is helping her raise the money needed to make her family’s dream a reality. For more than a year, Bonnie and her husband,Kevin, had been looking for just the right adoption agency. After $30,000 of failed fertility treatments, they were leaving nothing to chance and wanted to be certain that the agency they went with would be a perfect match. As the parents of an eight-year old girl (from Kevin’s earlier marriage) working with an international agency was out of the question. In addition to the nearly $20,000 in fees, they would be required to travel out of the country for weeks at a time, something that they couldn’t do. Thankfully they found Open Door, an American adoption agency that was a little more affordable and a lot more flexible. They officially started the process in September and, because of the financial demands that adoption puts on families, decided to look for ways to raise some money for their cause. It wasn’t long before an internet search brought her to Popcorn Palace and even though she’s only been fundraising with it for a month, she’s already had great success. “I started selling it at a local bank and the response has been amazing!” Bonnie told us. While the whole family is very hopeful and positive, “our daughter can’t wait for a baby brother or sister,” they are realistic about the time involved. “We are not in a huge rush and are willing to be patient,” said Bonnie in regards to both raising the money and getting their new family member. Popcorn Palace will follow the journey of the family as they get closer and closer to their new baby. Shannon Smith became a “band-mom” when her daughter joined the Port Huron Northern Bands. According to Shannon, the parents are a very close knit group and view the band members as ‘our’ children. The band raise money so that everyone has the same opportunity to go to trips such as New York City, Disney World, and Detroit’s Thanksgiving Day Parade. 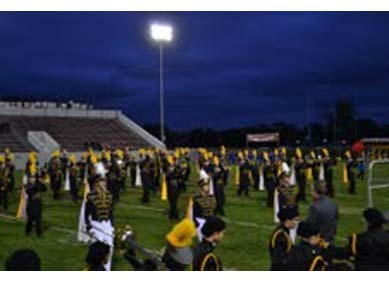 For more information on Port Huron Northern Bands, visit www.phnbb.com or www.phnbands.org.